Nortonville Museum. 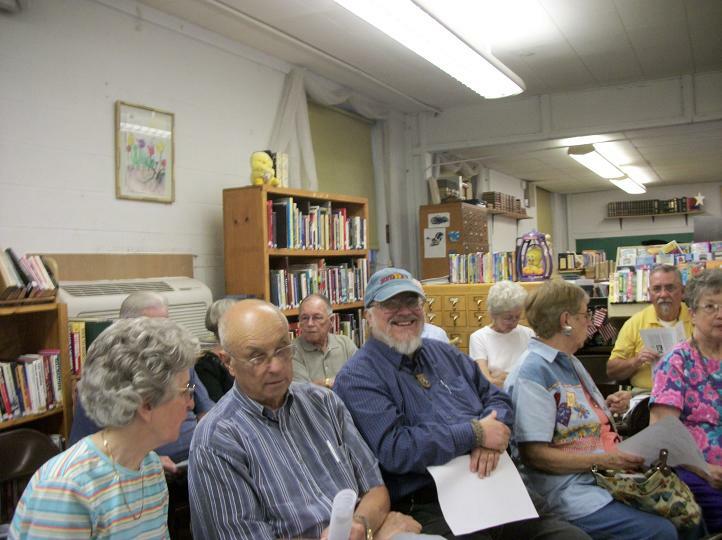 Program featured a tour of the Nortonville Library & Museum, regular business meeting and refreshments. Over 40 attended the excellent program, introduced by Jesse McGary which included welcome from the Mayor of Nortonville and Librarian & Museum director Martha Bowman. See pictures in the photo gallery. 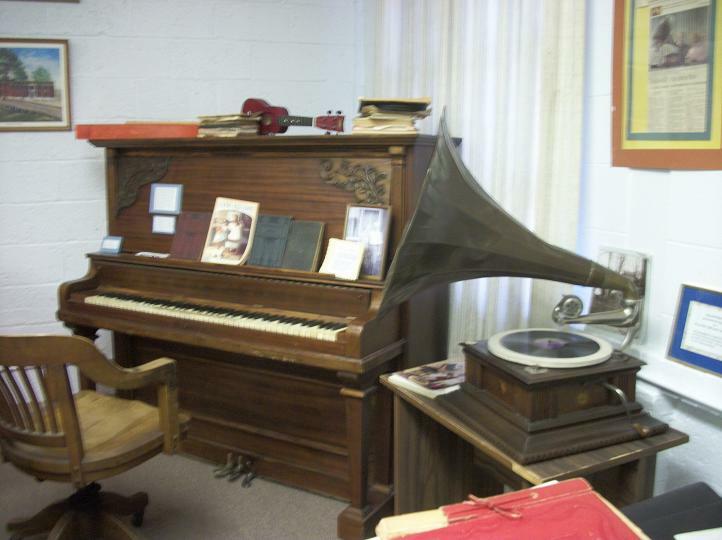 Grammaphone playing My Old Kentucky Home welcomed visitors into a spacious area of the old Nortonville school filled with historical items from school days, coal, transportation and military uniforms as well as a variety household and business antiques.